C Hurst & Co Publishers Ltd (2 Mar. 2015). Available in UK (Hurst) and US (Oxford University Press). As Mohammed Siddique Khan led his group of fellow-believers into London on the morning of July 7, 2005 it is unlikely that they were thinking much beyond the immediate impact of their actions. Driven by anger at the West’s treatment of Muslims worldwide, ideas fed to them by foreign extremists, and a sense of extreme rejection of the society in which they were born, they sought to reshape the world in an image they thought would be pleasing to God. But while they felt they were on a holy mission — as enunciated in Khan’s chilling video message, ‘We Love Death As You Love Life’ — a far more earthly arc of history underlay their actions. This book offers an insight into the motivations behind Khan and his group, as well as the hundreds of young British Muslims who have been drawn by jihadist ideas to fight on battlefields at home and abroad. Starting with the arrival of immigrant communities to the UK and the establishment of diaspora communities with strong ethnic connections to the Middle East and South Asia, to the arrival of jihadist warriors fresh from the anti-Soviet war Afghanistan, this book looks at the history that came before Mohammed Siddique Khan and places his action within its larger context. 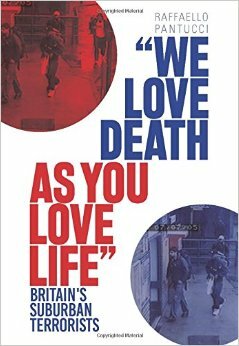 Based on research conducted while the author was working as an academic in London, this book offers the first comprehensive history of jihadist ideas and violence in the United Kingdom.